Mario Kart 8 combines familiar gameplay with a gorgeously realized audiovisual presentation to deliver hours and hours of pure flow state. I was already on pole, then by half a second and then one second and I just kept going. Suddenly I was nearly two seconds faster than anybody else, including my team mate with the same car. And suddenly I realised that I was no longer driving the car consciously. I was driving it by a kind of instinct, only I was in a different dimension. That is how Formula One driver Ayrton Senna recounted his qualifying race for the 1988 Monaco Grand Prix. Senna never lived to see Mario Kart 8, but he managed to describe the experience of playing it. It’s that moment where you look down at the bottom-right corner of the screen and see that you’ve taken first place — whether it happened seconds or minutes ago, it’s hard to say. At some point, you lost yourself in the radiant scenery and hypnotic music. At some point, your blue-spark drift maneuvers all blended into one another to produce something elegant, instinctual, and fundamentally satisfying. In a lot of ways, Mario Kart 8 just delivers the most obvious thing possible: more, better, newer Mario Kart. 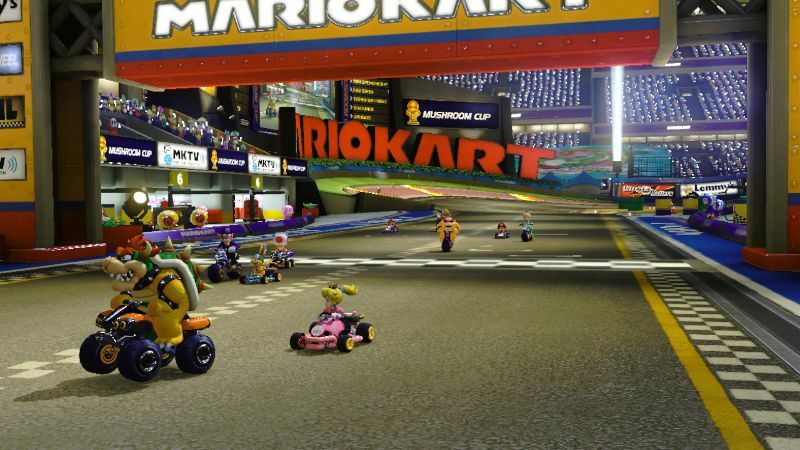 In fact, half of the tracks included are remakes of tracks from previous Mario Kart games. 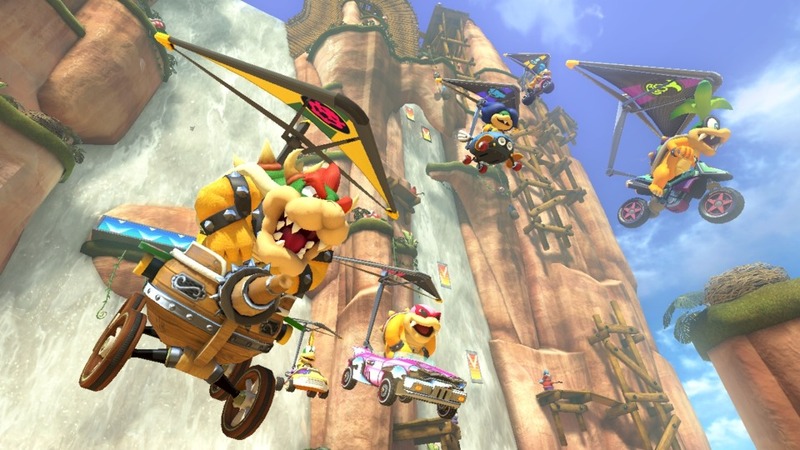 The racing itself remains largely familiar with a few tweaks, like anti-gravity portions on some tracks and some new items, including the Boomerang Flower, Piranha Plant, Super Horn, and Crazy Eight. But this is just fine with me, because more, better, newer Mario Kart is exactly what I’m looking for. The basic gameplay of the series is so rock-solid that there’s not likely to be much fruit in significantly tweaking it, at least for the first Mario Kart game on an HD console. Instead, this edition of Mario Kart shines primarily due to its amplification of the typical Mario Kart experience, pushing the hypnotic flow state to a new height via its lofty audiovisual fidelity. The quantity and density of eye and ear candy easily surpasses most of the last year’s top-tier game titles, largely because Mario Kart is perfectly happy to explore the cartoonish, the exuberant, and the adorable. Every inch of every track is delicately packed full of whimsical detail that oozes personality and charm. Take Shy Guy Falls. The entire track is accompanied by cheery, bouncy music that pairs perfectly with its open-air mountain atmosphere. As you near the finish line, you start to hear the Shy Guys themselves in the background, striking their pickaxes and squawking in time with the music. It is this level of delectable craft that fills every aspect of MK8, creating an experience where you can’t help but be lulled into something like Senna’s subconscious trance state. When you combine the catchy music, gorgeous visuals, and hyper-compelling gameplay feedback loop, you get a fundamentally appealing state of flow that doesn’t really have an equal this year.